how easy it is, you'll be hooked! 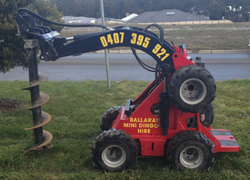 • Full range of attachments available and INCLUDED in hire cost: 4 in 1 bucket, posthole, auger, trencher or leveller. Our post hole augers range from 150mm to 450mm wide and can handle the toughest ground. All our augers are tungsten tipped, ensuring the hole is dug quickly so you can get the job done fast! All our machines are the original and the best Australian Dingo Digger, that are easy to use, can fit anywhere being less than 1050mm wide and best of all they are very powerful. 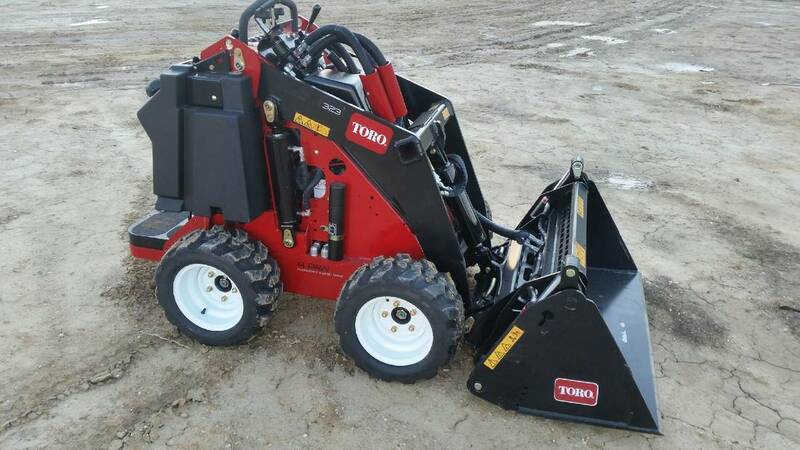 They are perfect for moving soil or gravel and all come with 4 in 1 buckets. Forget about the shovel and wheelbarrow, once you use a Dingo Digger and realise how easy it is, you'll be hooked! Our trenching attachments are very popular because they're so simple to use, very powerful and best of all are 150mm wide. This makes it easy for laying stormwater, sewage pipes or even small footings. 1.7 tonne excavator available for day hire. Perfect for tight access work. Machine is 990mm wide and tracks can expand to 1200mm wide. Prices include 900mm mud bucklet. 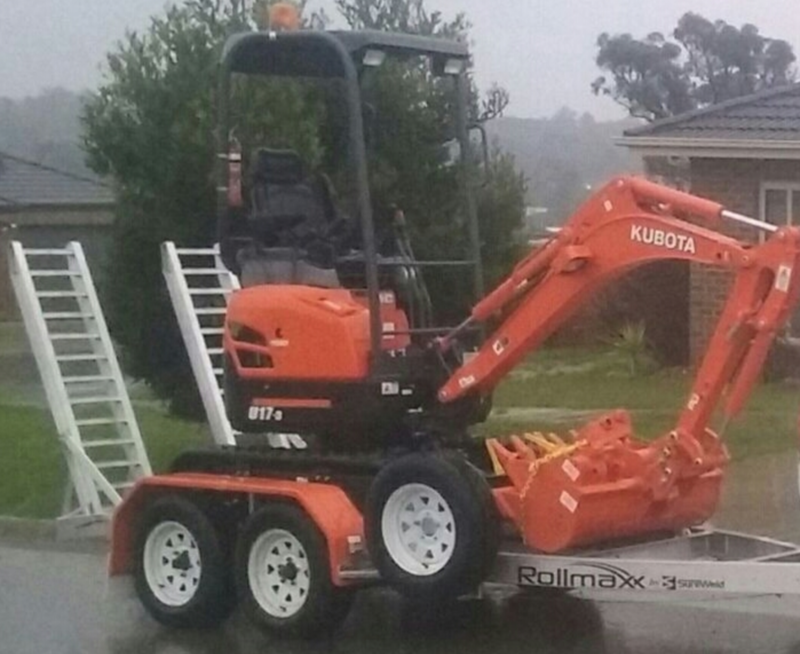 450mm, 300mm buckets and a ripper. Auger hire prices are $60 per day. This is where it all happens. Pick Up, Drop Off and Training. "I highly recommend Matt and his well maintained equipment. 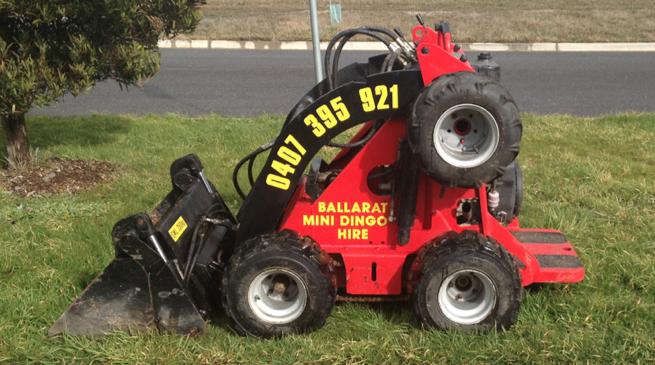 Matt provided a machine that was spot on for my needs and he delivered the Dingo right to my worksite" - Gavin, Ballarat.